Not only should a goddess eat healthy foods packed with antioxidants, she should protect the purity of her skin as well. Try a hydrating, moisturizing moisturizer with a tinted color. Look for SPF protection as well as antioxidant ingredients. The color will add a sparkle to your skin and cut out sallow exhaustion. Moisturizing your skin is essential so why not add a tint to the creme to give you a light coverage. 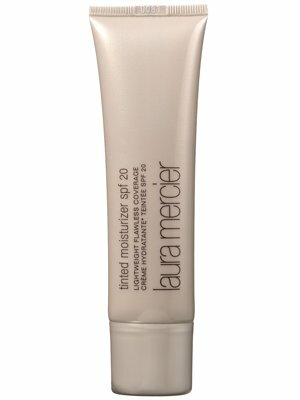 Try Laura Mercier tinted moisturizer with SPF 20. It gives you sun protection, is packed with anti-oxidents, and covers flaws with a slight foundation tint without going on too mask light. It’s light weight and wonderful for the goddess who wants to look refreshed with minimal makeup. You can buy the Laura Mercier products at Sephora.com. That particular cosmetics brand is known for their natural and organic selection of colors. It’s perfect makeup for the natural witch who wishes to hydrate and protect her skin while hiding minor skin imperfections effectively. Check Yahoo’s Shine website (shine.yahoo.com) for more ideas regarding natural makeup and beauty as they always have good articles and useful beauty tips from well known makeup artists.